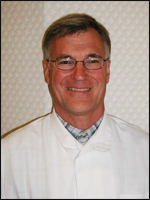 Dr. Paul Dunkling received his DDS degree from the State University of New York at Buffalo in 1982. Following dental school, he completed a one-year General Practice Residency at the Medical Center Hospital of Vermont. Post-residency, Dr. Dunkling decided to stay in the area and opened offices in Burlington and Jericho, Vermont. Dr. Dunkling has had the privilege of studying under the guidance of internationally recognized educators and researchers in the field of dentistry. He is an alumnus of a number of post-doctoral programs including the prestigious L.D. Pankey Institute for advanced dental studies and the LSU Cosmetic Dentistry Continuum in New Orleans, LA. He is an active member of the American Dental Association , the Vermont State Dental Society , the Academy of General Dentistry and the Academy of Cosmetic Dentistry . Dr. Dunkling and his wife Kerry together have five children and two wonderful golden retrievers. They currently reside in Shelburne, Vermont. Dr. Greg Penney was born and raised in Labrador City, Newfoundland, Canada. He received his DDS degree from McGill University in Montreal, Quebec, Canada in 2003. After graduation, Dr. Penney became one of only a handful of people who "moved south" to Vermont and in 2004 completed a General Practice Residency with Fletcher Allen Health Care. Since then, Dr. Penney has continued his studies, training in postgraduate courses for dental implants, grafting, cosmetic dentistry (including Lumineers), and many other general dentistry procedures. 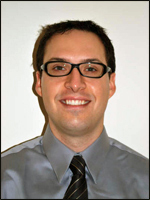 Dr. Penney is an active member of the American Dental Association (ADA), Vermont State Dental Society (VSDS) and the American Academy of Implant Dentistry (AAID) in which he is currently working towards obtaining an Associate Fellowship. Outside of the office, Dr. Penney enjoys spending time with his lovely wife Dawn and their two precious girls Rebecca and Rowan. His hobbies include golf, football and yard work.